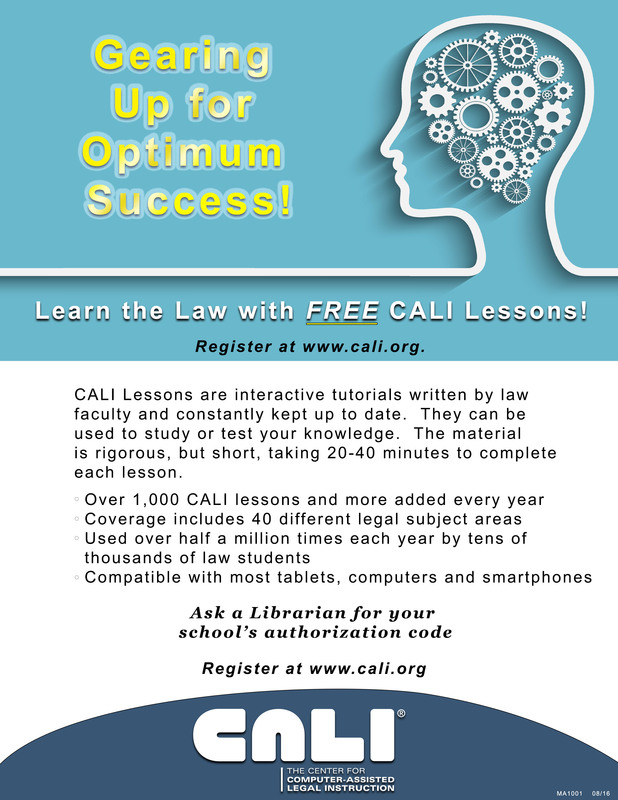 This is our newest CALI poster, created in August 2016 for you to advertise CALI Lessons to your students. 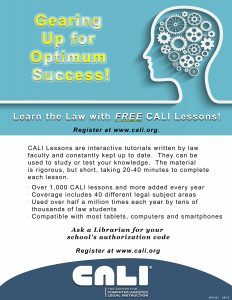 Hang it in your library, cafeteria, computer lab or other high traffic space. Click here to download the printable files.